The countdown to Christmas is on! You know what that means? It’s time for a sing-along! 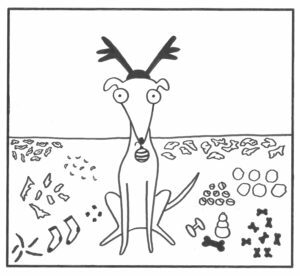 Please enjoy this special rendition of “The Twelve Days of Christmas” inspired by the random gifts that my dog often brings me after “shopping” around the house! an ornament off of the tree. and an ornament off of the tree. and an ornament off of the tree!